I think brand mascots are brilliant! They are a great way to engage with the public and are a very effective form of communications and marketing, b2c and b2b. The best mascots are the ones that literally embody a brand and become a walking, talking representation of their business. If you saw an image of Mickey mouse and the Michelin man (Bibendum) shaking hands, you would instantly know that Michelin are making tyres for Disney, or Disney are making a film about Michelin, or that the two companies are definitely doing something together because those two mascots represent those two businesses. So let me tell you about what goes into a good character design and hopefully you’ll pick up some helpful tips and tricks that you can do by yourself before going to a designer for the final mascot. Character design has a lot more to it than I can cover with a simple blog post, but my aim here is just to help you think about the right things before going into it. Physical Attributes: Blue, Square head, fully plasticine. Procreation: Mixing plasticine with a significant other. Offspring are sculpted then brought to life. Source of income, Livelihood, Industry: Lives at C&W where he is fed and taken care of. Normally, you would write paragraphs for each heading, but even after answering those questions quickly, you should have more of a picture in your head now of who your mascot is, what their personality's like and how they would react to, or approach, different scenarios. For example, how would your mascot approach a video advert job? Is he confident in front of the camera like Mazuma mobile is? 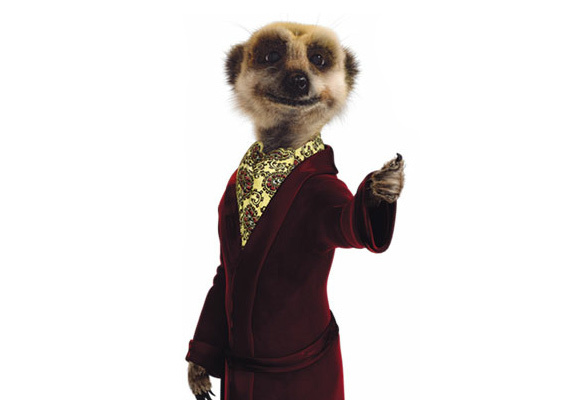 Or does he get distracted easily and cause trouble like Aleksandr. meerkat? Remember your mascot can change as time goes by, this is just a foundation, a starting point. Sometimes companies play mascots safely and always deliver things professionally (to reflect well on their business). Other times mascots can be a little crazy and leave an equally important, memorable first impression (‘The Animal‘ pepperami comes to mind!). It's important to research what others around you are doing, particularly competitors. You're lucky because very few businesses have a good mascot, so just having a character mascot at all will help you stand out. If one of your competitors does have a mascot, great! You have something you can criticise! What do you like about it? What would you change? And are they making the most it? How does it work in conjunction with their brand? Now that you know your mascot's personality and you know what others are doing around you, it's safe to start drawing (omg drawing?!). Look at your character's personality sheet and draw them doing the things you've alluded to. If you said he likes fishing, draw him fishing. If you said he is a wimp, draw him getting shocked by something silly. Draw them with the company logo close to hand, because the mascot will need to work hand-in-hand with it. As your drawing keep asking yourself, with a little polish, would this character work for your brand? And a final few tips - Keep the design simple and remember it needs to be visible when it's scaled down for use in the corner of a web page or letterhead. It's important to start colouring your character in sooner rather than later, so you can determine whether your brand colours work with the design or not. I know some people are not natural drawers, but you can still make a rough impression and do at least 50% of the thinking work before you pass the baton onto a professional. They will appreciate the work you've come to the table with because it makes their lives easier and it enables you to set the stage for the creation of your company mascot. Monday 7th November brings the start of Staffordshire’s first ever business festival ran by our friends at the Staffs Chambers of Commerce. With our animation studio being in Stoke for the past nine years it has always felt like local business festivals have been missing. The best options until now involving traveling to Birmingham or Manchester. Events like this are so important for local networking opportunities which will lead to growth and awareness of what is on our doorstep. Stoke has so many great companies that create important work on an international level, yet they are practically unknown on their home turf. Many people will not have heard of our animation studio and the fact we have worked with ITV, Channel 4, United Nations, NHS, Michelin, Pathe and Mccann Worldwide (England, Germany and Australia). I like to showcase what we do and learn a lot more about what others do. I hope I can inform people that high-quality, creative animation is available on their doorstep. There’s no need to head to Manchester, Birmingham or London, reducing the need to pay big city price premiums. Our first event next Monday will be the Chambers of Commerce networking breakfast and later on the Festival Launch in Stafford. Who else will be going? As we get closer to the 5th of November and many of us stock up on fireworks this year, I have found it very interesting to look at the advertising of fireworks. For obvious reasons fireworks are not advertised on TV and any other obvious outlet, so that begs the question; how as a consumer do we know what to pick when we walk into the a supermarket, fireworks shop or shop online ? I wanted to look more into this, and the first place I looked left me with so many questions I didn’t look any further. I used google to search fireworks and this took me to the website www.epicfireworks.com. Their website seemed as you would expect for a firework company, with lists of various fireworks, but something very interesting sat on the front page. I find this incredibly intriguing as a campaign. Why would you use Stephen Hawkin selling Fireworks without saying “Big Bang” ? Is that an actual photo or is it photoshopped? -and is that the point? Thinking about this image front and centre on the Epic Fireworks website and social media, I couldn't quite decide if the image was real, and my honest initial reaction was “it doesn’t feel like something that would be genuine” (especially looking at the poor image, lighting and font). Having dug deeper and seeing multiple blog posts of their work with Stephen Hawking I now believe it is real and fantastic. I think the importance of this clarification dictated how I reacted to the advertisement. But I imagine without the context and with a normal amount of cynicism, this marketing could go very wrong. What was your initial reaction to the marketing image ? Did you question if it was genuine? - and if you felt it wasn’t would you think differently about the company ?